It's time to take your four-legged friend to the vet and you're looking for sound care at a low cost. Let Pet Care help you give your pets the care they need with the savings you want. Our members receive an automatic 25% off exams & office visits, all vaccines, X-rays, any elective procedure (e.g., dental care), any surgeries (e.g., spay and neutering), hospitalization and more! Whether your pet is furry, feathered or covered in scales, Pet Care offers the same discounts. There are no exclusions! All pets are eligible for care regardless of type, age, health status, previous health history, or any health related conditions that may arise in the future. And the savings never stop. We don't cap your usage with an annual limit. You can use your card as long as you're an active member. Save on food, supplements, medications, toys, kitty litter, boarding, grooming, pet sitting, training, other services and so much more. Our national and local networks of participating retailers make these products easy to find and purchase for our exclusive discounted prices. Is your pet prone to wandering? For many pet owners, a lost pet is like a lost member of the family and, in our big world, a missing pet can be hard to find. With Pet Care you won't get caught off guard. 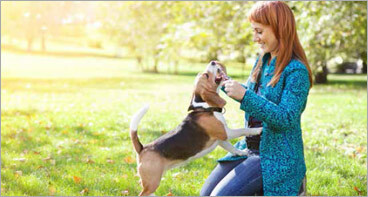 Each pet enrolled in the Pet Care program is protected by PALS, Pet Care's Locator Service. Our service is available 24 hours a day, 7 days a week. You won't stop your search for a lost pet at the end of the day and neither do we. Our recovery service has reunited thousands of lost pets with their families. PALS provides pets with specialized tags that will aid in their recovery. Each tag is equipped with individual pet ID numbers, which are linked to the pet's confidential information in Pet Care's database. When a pet is recovered, the pet finder simply calls the 24/7 Toll Free service number listed on the tag to report that the missing pet has been found. PALS will immediately begin to call all the provided emergency contacts until the pet owner has been reached.